Is this what your cabinet looks like? Mine does! Those are the contents of just one drawer in my kitchen. I have two more that look worse! 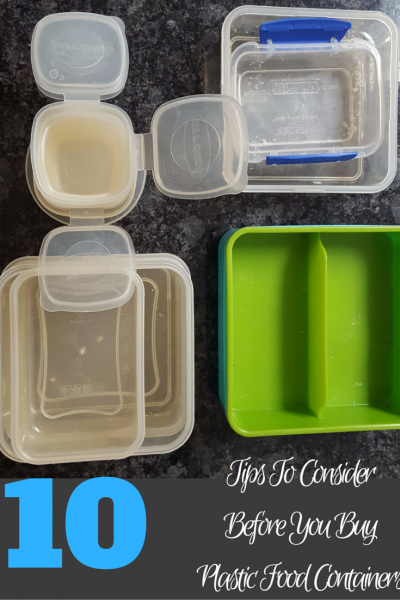 The one thing that is essential with both meal prep and kitchen organization and that’s buying the right plastic food storage container. Of late plastic is considered the devil with the BPA scare and how chemicals leach out when the plastic is heated either in a microwave or even a dishwasher. 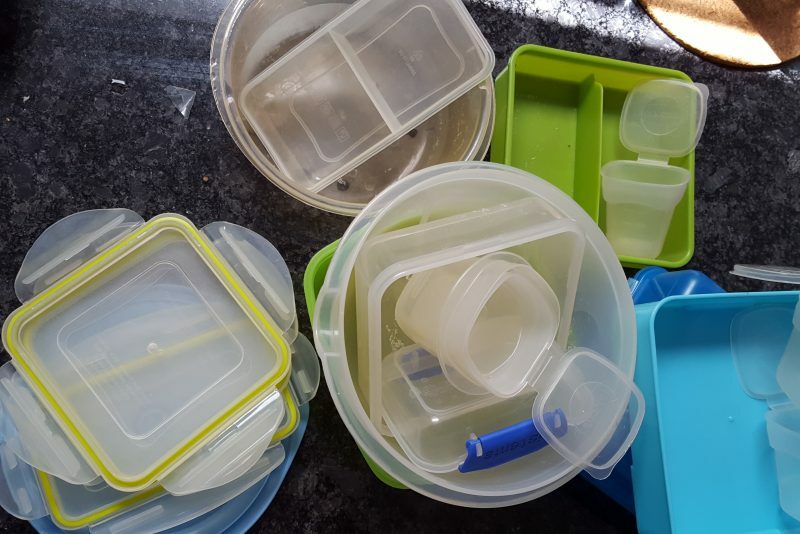 So if you still use old yoghurt containers or even restaurant takeout boxes for food storage, and those multicolured plastic boxes as lunch boxes then you NEED to read this! 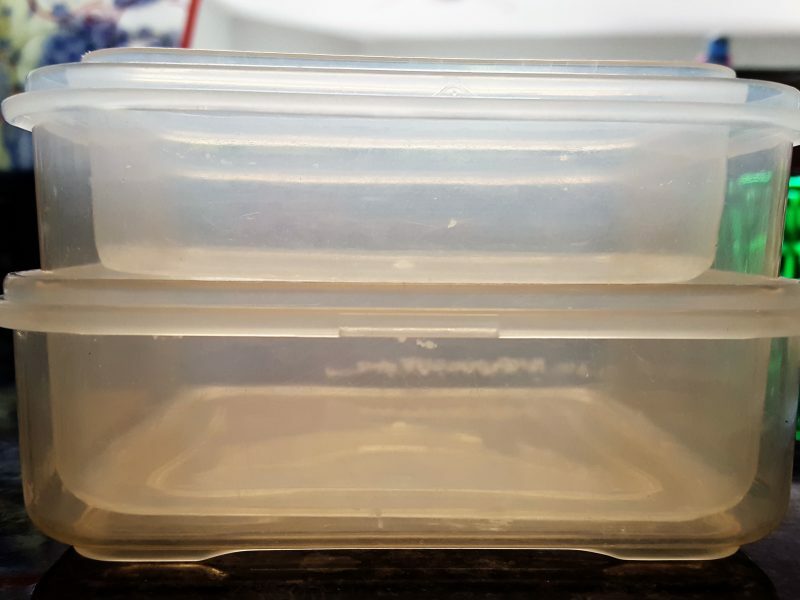 The first time I heard about the possible dangers of using plastic containers in my kitchen, I switched everything out for metal containers. Then last year when my youngest started Kindergarten, plastic started to creep back into my kitchen. The shiny metal lunchboxes were too heavy for her to carry to school. They didn’t quite work for leftovers after dinner either because I had to transfer the food to a ceramic or glass bowl to heat up. Guess who was stuck with washing the extra dishes that piled up in the sink? So I compromised and swapped out my food storage containers for glass snap and lock ones that were durable, microwave-safe and pretty enough to serve in. And for packing up leftovers (those that didn’t need heating up) and for the children’s lunch bag for school, it was plastic. Yes, plastic was back! But not all plastic. After reading the research I knew I had to make safe choices for my family so here’s my checklist of 10 criteria before I went shopping for the kitchen. 1.Look for the microwave-safe sign. Good quality plastic will mention this on the bottom. 2. Look for the BPA-free sign in the same place. The latest research now says that the newest replacement for BPA in plastic food storage containers – BPS – isn’t safe either but since there are no regulations around BPS as yet, we have to all start somewhere. 3. Look for the plastic recycling triangle at the bottom. A number 7 there means it may contain BPA. A “PC” means it definitely contains BPA. The safer plastic container options are those labelled with the numbers 2, 4 and 5. 4. Even if the container is microwave-safe DO NOT use it for reheating in the microwave. Glass and ceramic bowls will do this job much better without the danger of chemical leaching. 5. 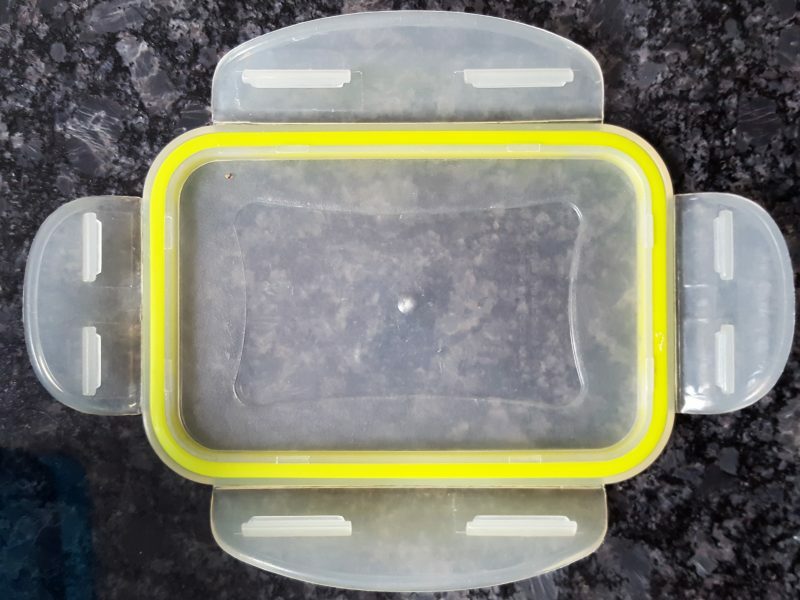 To be airtight, the lid should have a silicon gasket on the inside or be snug in another way. Try the lid out in the store if possible. The last thing you want to do is have the salad dressing or yoghurt leak in your child’s lunch bag. Also most lids are not made to go in the microwave. 6. The container should be easy to open for little hands. That goes back to encouraging independence. As I discovered, some snap locks were impossible for my little one and she needed help from her teachers at lunch time. 7. Look for the dishwasher safe insignia. And then ALWAYS put it on the top rack of the dishwasher where the boiling hot water has cooled down somewhat. 8. The container should have as few small pieces or layers as possible. Tiny crevices cannot be cleaned as well and there may be build up of mould over a period of time. 9. Think similar shapes for boxes even if they don’t come from the same brand. They are usually easier to stack up and take up less space in your cabinets. 10. Think transparent, especially if you’re packing lunch for more than one child. Otherwise you will be opening them again and again to check the contents. And who has the time for that! The one thing that I’m not compromising on is the water bottle. While metal and glass bottles are heavier than plastic ones and even more so when you add in the weight of the water, somehow the thought of my kids drinking water that has stayed in plastic all day long just doesn’t feel right. So go into your kitchen and take a good look at your stash of plastic containers. How many do you have? How many do you really need? The first step to good organisation is to cull, cull, cull. Keep a few sensible sizes on hand (small, medium, large) and then go over my criteria. Put the rest into a storage box to spend a little time away from you and the kitchen. If out of sight is out of mind and you don’t need them for the next month, donate or throw. Hmmmm… I’m still drinking out of hard plastic Contigo – I wonder if these are ok? 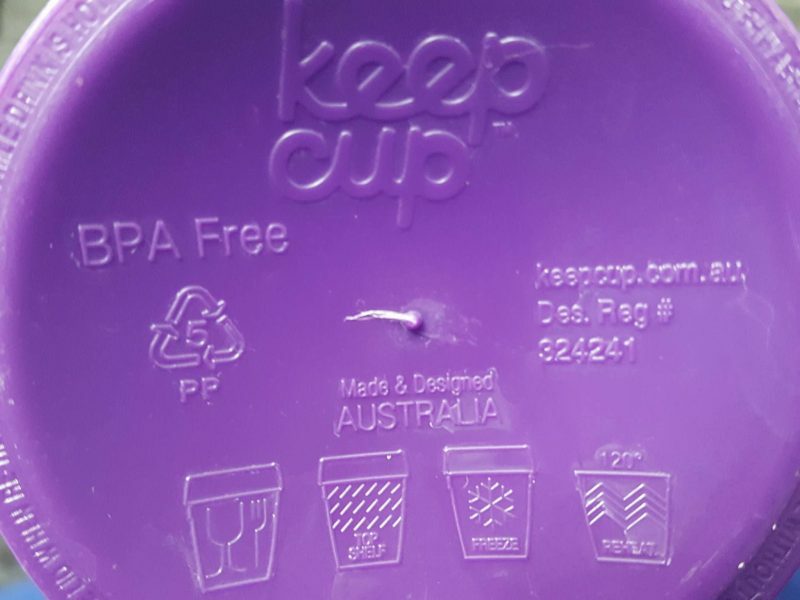 BPA free at least – how do your girls do with their non-plastic drink containers? Thanks for all the tips! I will look at replacing all my plastic containers with glass this year.